To celebrate the Lunar New Year, the Asian Awareness Committee will host this year’s “Taste of Asia” event on Wednesday, Feb. 27 in the Student Event Center on the Taylorsville Redwood campus. More information can be found on the flyers posted throughout SLCC campuses, and questions can be directed to Sulistiyani Kathol in the orientation department. The event will feature a display of Korean art, a Lion Dance performed by the Sil Lum Kung Fu Kwoon dance group and a Korean dance performed by Salt Lake Community College students. SLCC orientation specialist Sulistiyani Kathol has been in charge of the event for the past two years and wants students to know about what the Taste of Asia event has to offer. “We want people to know what the Korean culture is all about,” says Kathol. The event starts at 10 a.m. with art displays. 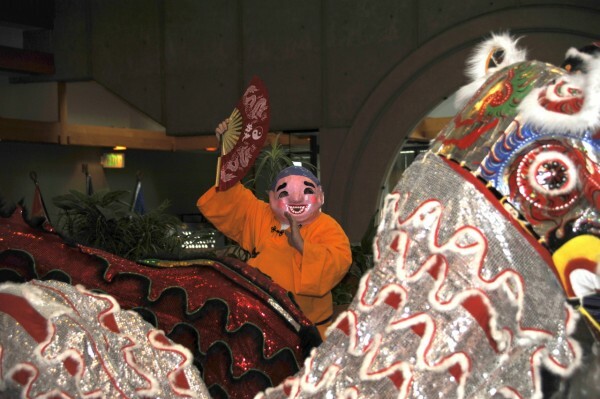 The Lion Dance begins at 11:45 a.m., and Kathol is confident students will want to be on time. If the dance isn’t enough to draw students’ attention, Kathol thinks the appetizers will. The event will feature kimchi and bugolgi, both of which are traditional Korean dishes. Kathol says kimchi has a very unique flavor and is very spicy, and that bugolgi is like Korean barbeque. After filling out a small survey attendants will be given their appetizer.